Though I’ll consume copious quantities of cookies throughout the month of December, I crave but one (strong) glass of eggnog per holiday season. Yes, just one. OK, if you offer me a second, I won’t scold you, but one typically appeases my appetite. Despite my craving’s single-glass limit, this jolly beverage remains a critical component of my Christmas experience. Skipping the eggnog to me is like decorating the entire tree but never placing the star on top. The environment is fairly festive, but you’re missing that shining touch. Why only one glass? Though I love its taste, eggnog is often so sugary and heavy that even I, Madame Sweet Tooth, struggle to down more than one. (I know, my life is so difficult.) 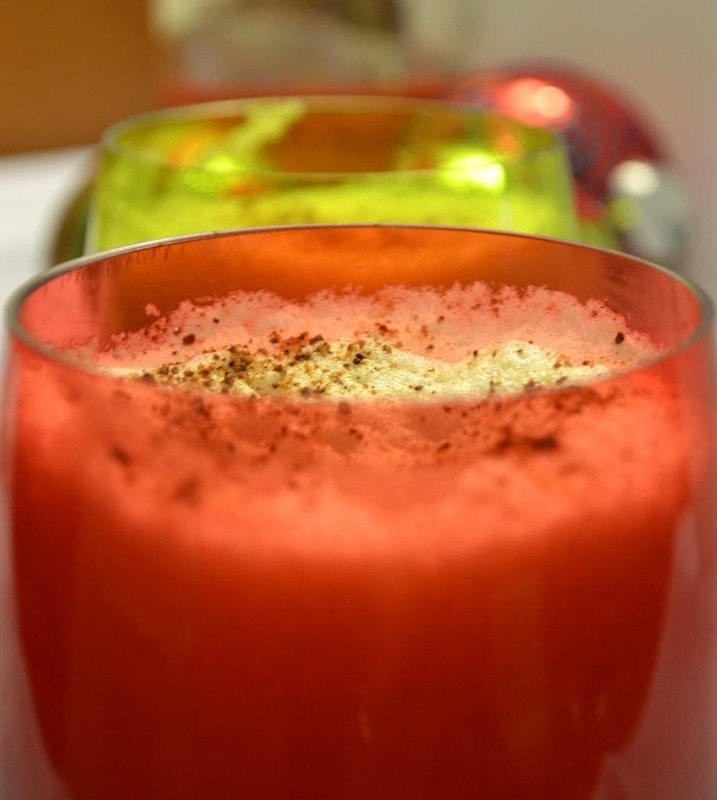 To solve this pressing problem, I created my own light version: HOLIDAY NOG. The base of my light Holiday Nog recipe is apple cider. (Bonus: you can use any extra cider to make mulled wine.) The cider’s flavor pairs fabulously with nutmeg, eggnog’s signature spice, and cider offers the right amount of sweetness. 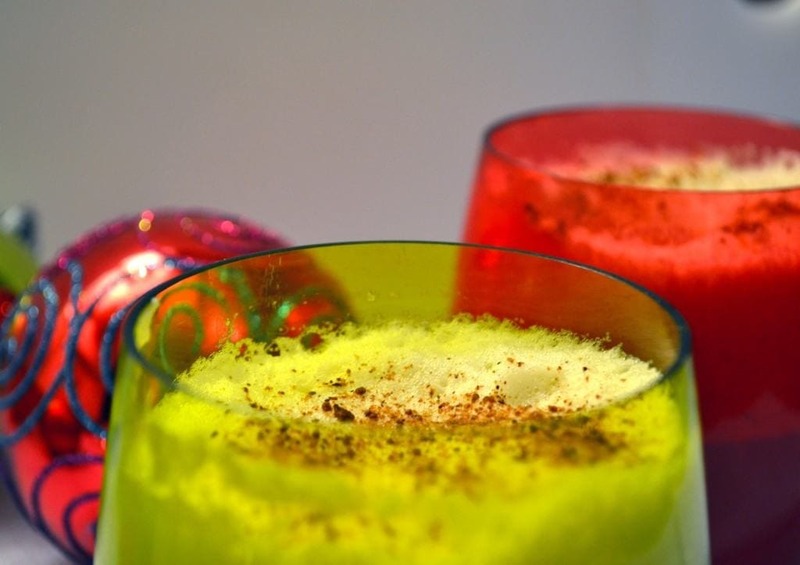 Egg yolks and whites are whipped into a fluffy frenzy and add so much airiness to the Holiday Nog, you will fear it floating right out of your glass. No need to worry—throw in a healthy dose of bourbon (or spiced rum and/or brandy, if that’s your style), and we’re back to earth, holly jolly drink in hand. 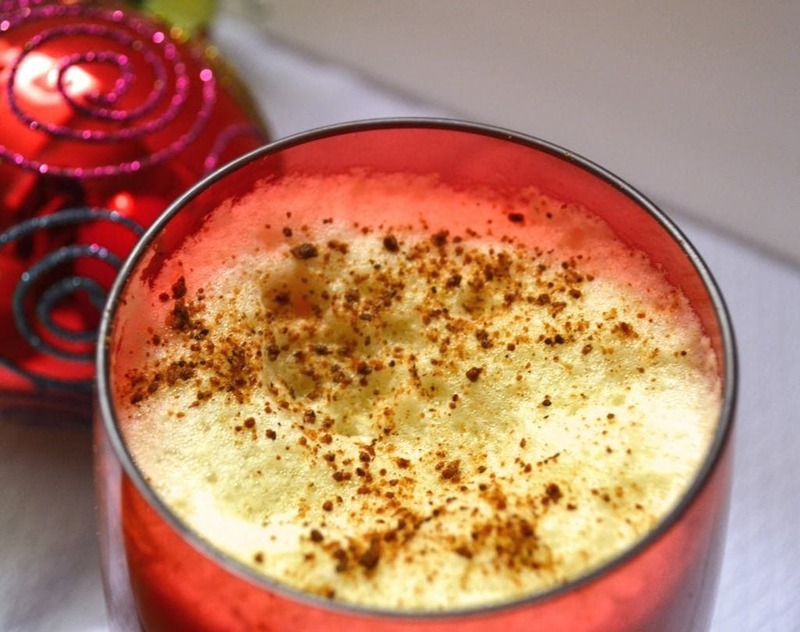 Light Holiday Nog is missing one traditional eggnog component: heavy cream. I chose to omit the cream because I truly wanted a lighter Christmas cocktail that left plenty of room for seconds. Though the whipped eggs do give the Holiday Nog a lovely texture, it does not have the same heavy dairy taste of a traditional eggnog. Despite this difference, Holiday Nog still hit the spot for me. I loved the flavor of the cider, the foamy addition of the egg whites, and the healthy sprinkle of nutmeg on top. If you are looking for a cheery, lighter beverage to make merry this season, Holiday Nog is meant for you. Santé! Road Warriors: Over the weekend, Ben and I are loading up the Civic and road-tripping down to Wichita, KS to spend Christmas with my family. This will be our first holiday spent together as a couple. If Ben can survive an 10-hour car ride with me belting Mariah Carey, I’m sure a Christmas with the in-laws is nothing he can’t handle. No matter your celebration, wishing all of you a wonderful, warm holiday with family and friends! 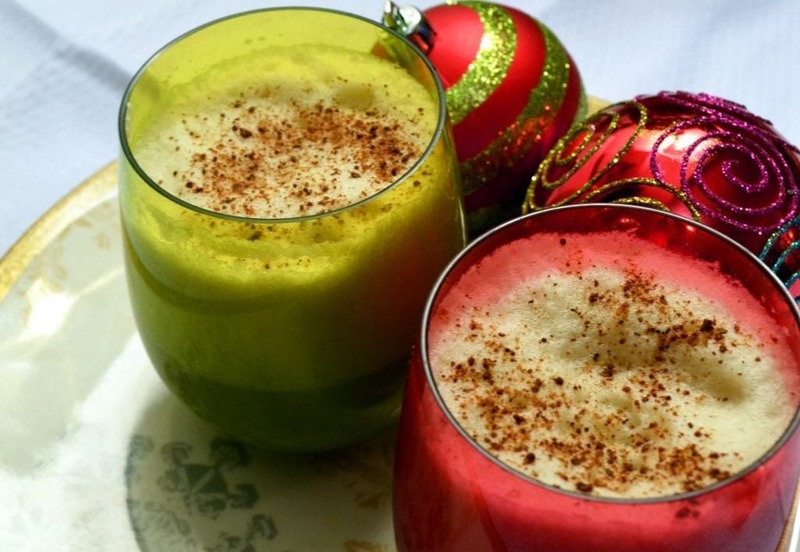 This light update to traditional eggnog is swaps heavy cream for flavorful apple cider. Low in calories, big in taste! Heat the apple cider until warm in a medium saucepan. In the bowl of standing mixer fitted with the whisk attachment or a medium mixing bowl, beat the egg whites with 1 teaspoon sugar until stiff peaks form. Ensure that the beaters and bowl are clean or peaks will not form properly. Set aside. 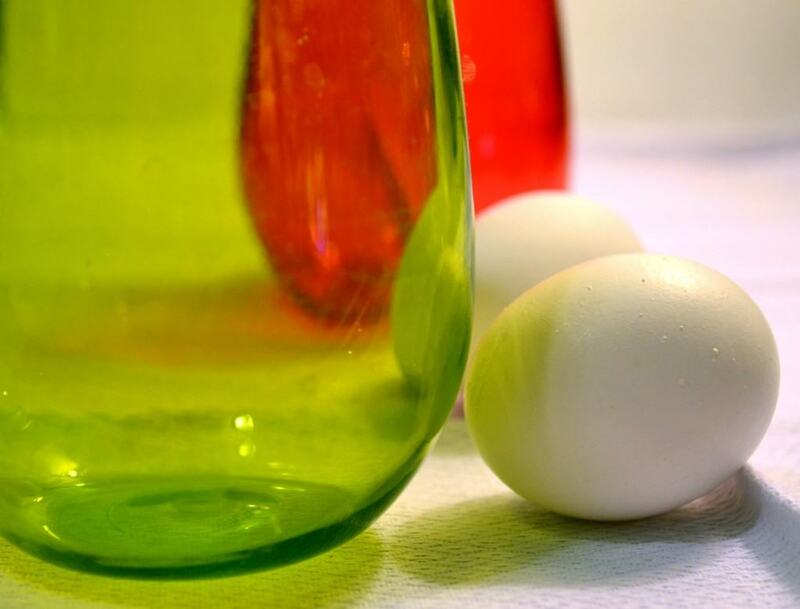 In a separate bowl, beat egg yolks until they lighten in color. Beat in 1 tablespoon sugar until combined. Remove apple cider from heat and stir in the bourbon and beaten egg yolks. Gently whisk in the whipped egg whites. Pour into glasses, sprinkle with nutmeg and serve. MmMmmmmMMMMmmmmm Erin. I WANT this. Thanks so much Becky. Snowed in today (and making eggnog waffles, lol. Addicted to this stuff!) Have a very merry Christmas too. Hope your in-laws enjoy! This sounds very interesting and intriguing! I’ve never heard of eggnog made from apple cider before…. I’ll have to give it a try next season. Happy Holidays! Happy Holidays to you Amy!! Hope you enjoy and thanks for your comment.